The Sinden Lightgun managed to reach its Kickstarter goal in just one day, proving people can't wait to get their hands on one. Ever wished you could use a lightgun with your modern LCD TV to bring back memories of classic games like House of the Dead and Time Crisis? 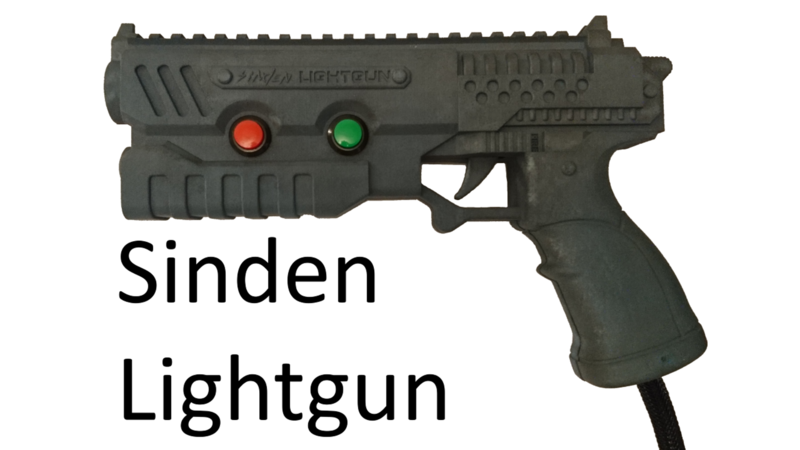 Sinden Technology did too, and that's why they're working to bring us The Sinden Lightgun, an LCD-compatible lighten that met its $32,734 Kickstarter goal in just one day. With 28 days remaining, at the time of writing it's sitting at an impressive $44,514, which means it now has enough funding to be brought to fruition. The Kickstarter project is part of a larger goal to restore the lightgun genre to its former glory, according to the company, noting that this lightgun uses "entirely new technology" to bring games to life once more on your LCD TVs. That sounds like a noble goal to us, and an exciting prospect. As Sinden notes, right now the only real way to play the game is to use a CRT TV so you can have something to hook up to – or a Wii sensor bar hookup somehow, if you've got a way to do that. "Unfortunately that still doesn't provide line of sight shooting unless you calibrate. However every time you move to a different position or angle you need to re-calibrate. These problems are why we don't see Lightgun games anymore on the major consoles," says the Kickstarter description. "This is why I developed the Sinden Lightgun. It interacts directly with the television and doesn't require additional hardware around the television or any calibration. It is always accurate even if you change your position. It has enabled me to play all my favourite classic Lightgun games again in the comfort of my living room on my 50inch LCD television and I may be slightly biased but IT'S BRILLIANT!!!!" There's a prototype with several games being shown off on the official Kickstarter page, and it looks quite promising. Time will tell when (or if) we will be able to see a final production version, but the maker has all the money they should need now, with 28 days left to go. Hopefully they can make it happen.